Invite your friends and family to jump with you or just help us spread the word about our charity skydives. The more people we get to jump the more money we raise for Macmillan Caring Locally. 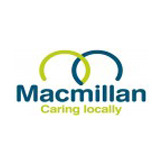 Macmillan Caring Locally is a Charity providing specialist end of life care and support to families, carers and friends. We support the Macmillan Unit at Christchurch Hospital in Dorset, which is a centre of excellence for palliative care. The Macmillan Unit has 16 in-patient beds and a 15 person Day Centre for Patients in our Community. The Macmillan Unit has a multi disciplinary team which includes Rehabilitation, Home Care, Family Support and Spiritual Support. The Macmillan Unit is a base for our Specialist Palliative Care Sisters, also known as Macmillan Nurses, who look after up to 350 Patients living at home in our Community. Macmillan Caring Locally also owns and operates The Grove in Bournemouth, the UKs first holiday hotel for people with life threatening illnesses.